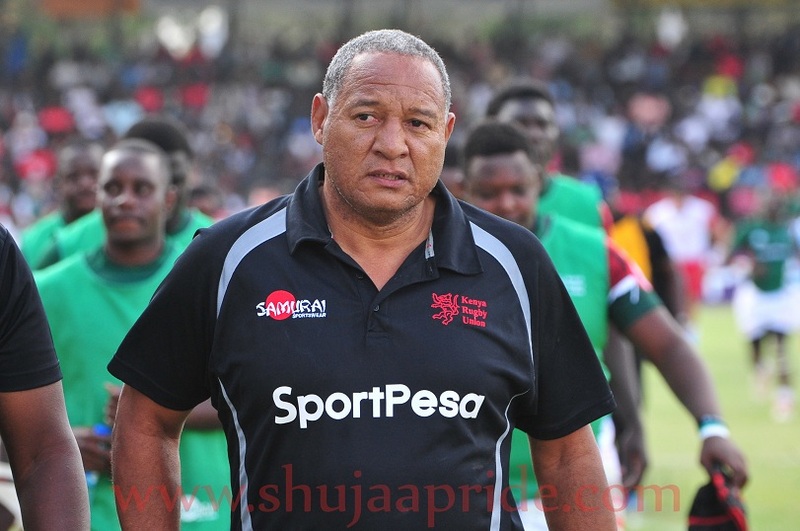 Kenya Simbas head coach Jerome Paarwater expects a speedy game from Zimbabwe when they meet at the Africa Gold Cup on Saturday July 22, 2017. The match comes days after Zimbabwe led Namibia 20-7 at the interval only for them to lose 31-26 at full time. “Namibia and Zimbabwe are positive teams, we’ve played them a lot of times. They also want to play the game in a true spirit so I think it will be a great game. Our game is based on speed and their game is also on speed. Namibia little bit slower but they are not negative,” said Paarwater. As Zimbabwe lost to Namibia, Kenya beat Senegal 45-25 even though Paarwater was not pleased by the game. "It wasn’t a pretty game, very ugly game. It wasn’t played in the spirit of the game we want to play and so am not happy." Zimbabwe have played two matches in 2017 beating Senegal and losing to Namibia while Kenya has drawn with Uganda before beating Tunisia and Senegal. Kenya Simbas are second with 12 points as Namibia top with 15 points while Uganda are third with 11; Zimbabwe are fourth with six points.